What Is the “Cost of Attendance” and What Does It Include? We hear about “college costs” all the time—but what does that really mean? When I worked as a financial aid counselor, I used to get this question almost daily. And, like most financial aid counselors, I answered this common question by providing the current cost of attendance. Today, I want to dive deep into what “cost of attendance” really means. At the end of this post, you’ll find out how to get access to my free downloadable guide about college costs. Tuition: Tuition costs vary by enrollment (full-time enrollment costs are generally higher than part-time enrollment, for example). Fees: This category generally only includes mandatory fees only (there are other fees that are not necessarily mandatory—I’ll get into this later). Room and Board: This includes rent and food for the academic year and can vary by cost of living and location. Books: This includes the cost of required textbooks and other school supplies. Transportation: This category is meant to cover a public transportation pass or a modest amount of gas money for drivers. Again, this can also vary by location. Personal/Miscellaneous: Students generally think this category is for fun stuff like shopping or entertainment. Nope. This is meant to cover the bare essentials like toothpaste and deodorant. Health Insurance: While all students are required to have health insurance, this expense is not included in the Cost of Attendance because students aren’t obligated to enroll in the college’s student health insurance plan. Students are free to enroll in other health insurance plans, like their parents’ plan for example. You’re probably already doing the right thing, but let’s take a close look at this issue. When you look at the numbers, it’s easy to see that scholarships will go further at a school with a lower Cost of Attendance (pending other variables). Let me show you. It’s very clear in this example that USC’s total Cost of Attendance is much higher than UCLA’s. This is generally true when you compare the costs between public and private universities. Unfortunately, however, most students (and parents!) don’t compare costs and therefore don’t realize these major differences. This exercise is a great way to help students plan out their scholarship-fundraising strategy because it gives you a solid number to work from. In this example, you can see that a $10,000 scholarship will take you further at UCLA than at USC. A $10,000 scholarship at UCLA would bring the Cost of Attendance to about $21,000. To bring USC’s Cost of attendance down to $21,000, a student would need to earn a $43,000 scholarship per year! That would require quite a bit of fundraising via scholarships. Of course, if your student would rather go to the more expensive school, they most certainly can. But they’d have to strategize and do some additional fundraising to make that choice affordable for the family. Scholarship Opportunity’s “How to Find & Win Scholarships” or one of their classes can certainly help. Comparing college costs and incorporating that knowledge into your scholarship application plan is key—yet, most families skip this step. Why? Using the example above, a four-year degree from UCLA would cost about $124,000 total and at USC it would cost about $256,000! Clearly, college is one of the biggest investments a family will make. You wouldn’t buy a house without doing any research, right? When you’re spending tens of thousands of dollars, you want to make sure you have all the information you need to help you make the best decision. Marketing is meant to create desire around a product. This is a lot like the work of the college admissions office. When you speak to an admissions representative or take an admissions tour, you’re essentially being sold on the experience of attending that particular college. You’ll often hear about what makes this college stand out, why it’s better than the others, etc. Emotions play a bigger part in our decision-making than we think. Loewenstein & Lerner are two prominent researchers in this area, and they argue that we cannot quite separate our emotions from decision-making. They also argue that our decisions rely more on our emotions when we’re pressed for time or have a lack of information. This is why it’s so important to start researching college costs early! I strongly recommend that the research process start as soon as possible. This way, when the time comes to make a choice about which college to attend, it’ll be easier to make an informed decision based on true facts and not impulsive decisions based on emotion. The idea behind this strategy is to avoid “buyer’s remorse”—as a financial aid counselor, I’ve seen what buyer’s remorse looks like when families realize that they can’t comfortably afford their child’s college choice. This often happens in the middle of the first semester, when it’s too late to un-enroll and the family is stuck with the bill. The good news is that a little bit of planning upfront will help you avoid this scenario. Plus, researching doesn’t have to be difficult —especially with regard to college costs since all colleges list their annual cost of attendance online. And to help you start the research process, I’ve created a free downloadable guide for you! It describes the cost of attendance, ways to keep costs low, and it includes a worksheet to help you keep track of cost comparisons. 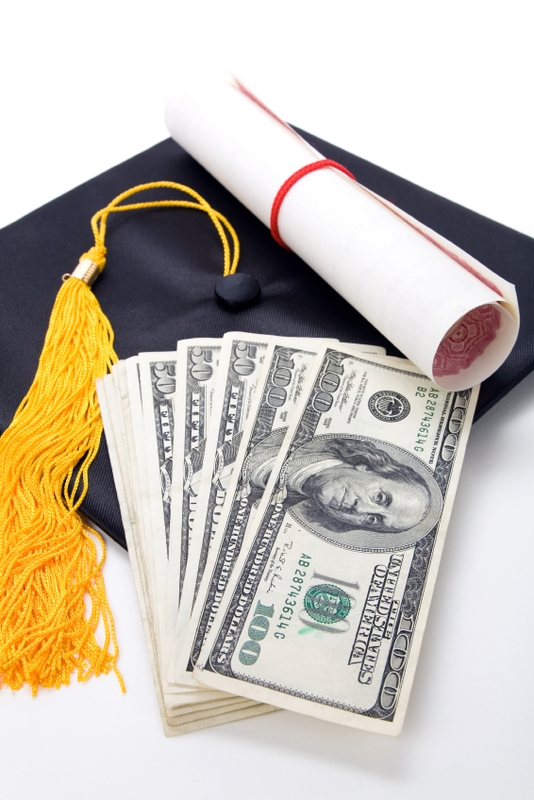 Click here to sign-up for my newsletter and receive my free Guide to College Costs! This entry was posted in Tips and Tricks and tagged Cost of Attendance by Katie Alvarez. Bookmark the permalink. Great post, Katie. Using the cost of attendance figure as a starting point is a great scholarship strategy. By having a target number, students know how many scholarships they need to apply for and win. Since the average scholarship award is $2,000 and most students will win 1 in 10, knowing the cost of attendance provides the motivation needed to get started!